We cannot over-emphasise the importance of regularly testing your water. 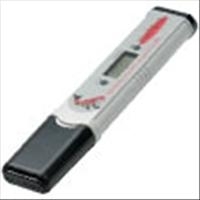 The tests kits we stock are a reliable means of testing the key parameters. Nitrate is produced by the beneficial bacteria in the pond and filters as they break down the fish's toxic waste products (Ammonia and Nitrite). Nitrate is not toxic to pond fish, but excessively high levels can affect their reproduction. Nitrite is produced by the beneficial bacteria in the pond and filters as they break down the harmful waste ammonia excreted by the fish. Nitrite can affect the health of fish but is not as toxic as ammonia. GH & KH test kit combined kit - separate tests. GH measures general harness and KH known as alkalinity measures the Buffering Capacity or Alkalinity Reserve of water in your pond. Ensures stable pH - low Alkalinity can cause pH crash. 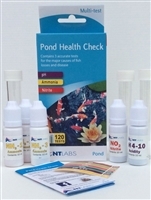 Multi Test Kit covering the basics for a healthy pond. 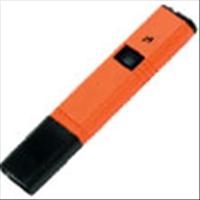 Comprises 120 tests for 3 Water Parameters (pH, Ammonia & Nitrite) with full instructions, optimum levels and suggestions for correction. Award Winner Multi Test Kit. Comprises over 200 Test for 6 Water Parameters. Integral Test Tube Rack for Ease of Use. 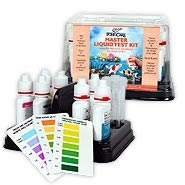 This fast, accurate and easy to use test kit provides information on how to perform each test, how often to perform the tests, what the results mean and how to correct any unsafe water conditions that may be detected. Tests for pH, Ammonia, Nitrite and Phosphate. Complete with instructions, colour charts and four glass test tubes with caps. A very handy tool. Accurate and fast reading of your pond pH. Splash proof and drop-shock resistant. Invaluable tool at Causeway Koi. Quickly and easily test the salt level by dipping the probe into the pond water for an instant reading. Maintain a healthy pond environment by keeping salt level right. Eliminate most parasites (7 out of 9 commonly found in ponds). 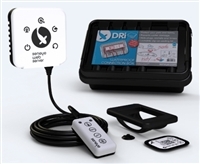 Seneye remotely monitor your pond through a unique optical sensor and cloud based website. Simply place your seneye in water and connect it to a PC or Seneye Web Server. That’s it! Now you get information and alerts for dangerous changes in water parameters on email and SMS worldwide. Monitors every 30mins, 365 days a year. Low running costs. No subscription. Full reading history. Free Cloud account.